Perform mass air flow service cleaning mass air flow. Inspect all fluid levels and condition. Check belts and hoses. Lube door and hood hinges, lube steering, suspension and driveline. Includes up to 5 quarts of motor oil and new ACDelco oil filter. Diesels and synthetic oil higher. Power flush coolant system removing old coolant and refill system with fresh coolant. Flush safely removes rust, sludge and scale deposits left behind that drain and refills don't get. * Price includes most models up to 1 gallon of coolant. Additional coolant extra cost. Completely clean the entire fuel system of deposits. Fuel rail, fuel injectors, intake system, combustion chambers, throttle plate and throttle valve. Helps promote easy starting, smooth idlling, increased power, maximum fuel economy, minimum emissions and helps eliminate knocking. Flush transmission and cooler. Refill the transmission/transaxle with approved fluid. Adjust linkage if necessary. Check transmission/transaxle operation. * Price includes most models. Some models higher. Filter additional costs. 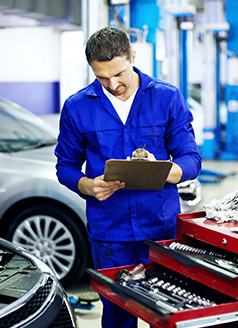 Diagnostic charges to provide estimate for repairs. * Price includes most concerns. Complex electrical concerns and unique situations may require additional charges for complete diagnosis. Check pressures and temperature output. Lubricate compressor with dye injection to help detect future leaks. Inspect lines and hoses for wear. Check cabin air filter. Does not include evacuation and recharge system with freon. Great service for preventative maintenance to eliminate costly diagnosis and repeated trips to detect potential future leaks. Replace micro filter that removes dust and pollen. Remove most allergens from the air that enters a vehicle?s ventilation system. Effectively helps reduce airborne particles including pollen and road dust. Remove contaminated fluid from the entire system. 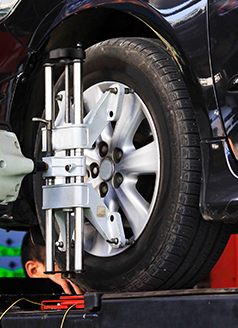 Replace the old fluid with recommended brake fluid. * Price includes most models. Plus tax. * Most models. Some models higher. Electronically balance and road force all four tires. Inspect brake pads. Rotate best tires to the front. * Dually and heavy duty trucks extra. * See dealer for details. Dually vehicles additional charges apply.